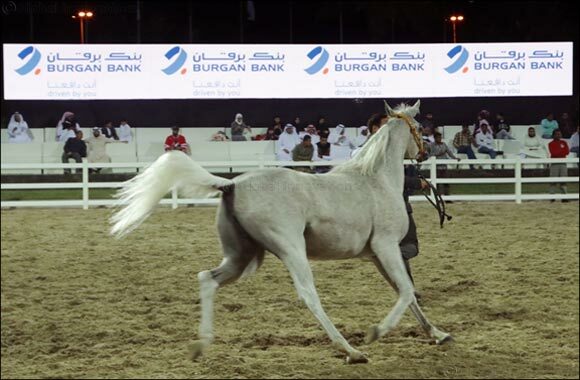 Kuwait – 24 November 2018: Burgan Bank recently sponsored the Kuwait National Arabian Horse Festival 2018 for the 4th consecutive year, in line with its commitment to preserve Kuwait and Arab cultural heritage and champion skills-building in sports. The 4th Egyptian Arabian Horse Competition took place between 16-17 of November 2018 and the 7th National Arabian Horse Competition was held from 29 November till 1 December 2018 at the Bait Al Arab show arena. Organized annually by Bait Al Arab, under the umbrella of Al Diwan Al Amiri, the event was hosted under the patronage of H.H. the Crown Prince Sheikh Nawaf Al-Ahmad Al-Jaber Al-Sabah. The high profile festival was aimed at preserving the history and breed of Arabian horses, as an important part of the Kuwaiti and Arab cultural heritage. The National Championship was supervised by ECAHO (European Conference of Arab Horse Organizations) which is the official body concerned with managing similar local and international tournaments. The Kuwait National Arabian Horse Festival received active participation by a large number of Arab horse breeders and owners from Kuwait and around the world. The popular event also enjoyed a large following of local and international fans and horse enthusiasts. The Arabian Horse Center - Bait Al Arab Kuwait State Stud was established in 1980 to perpetuate the Arabian horse of true origin in Kuwait to safeguard their ancestry in Kuwait. In November 2012, by the order of H.H. Sheikh Sabah Al Ahmed Al Jaber Al Sabah, the state stud of Kuwait was transferred to the Al Diwan Al Amiri. Committed to honoring the country’s rich history, Burgan Bank continues to celebrate the importance of this tradition and spark interest in national cultural events among the local community. The bank is equally keen on encouraging the expansion of competitive sports and recreational activities to improve the overall health and development of future generations.